A disaster has struck! 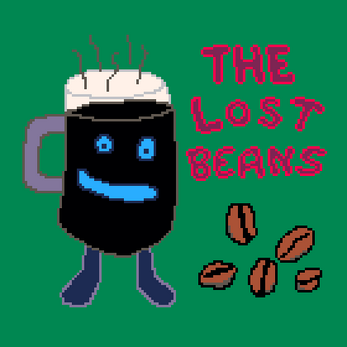 The coffee beans have been lost! 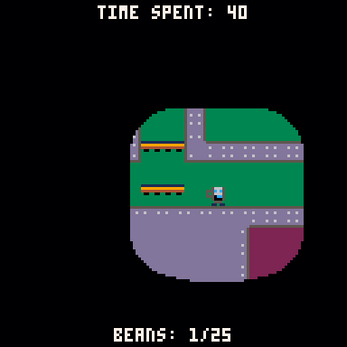 Help Rich - this coffee dimension's maintainer - find the lost beans! Embark on a caffeinated platform adventure where you can find coffee upgrades that will help you with your adventure. For example, if you become an americano you gain the ability to double-jump! Obviously! How quick can you find the beans? Can you also find the special bean™? If you're looking for a more serious challenge, try finishing the game without getting any of the upgrades! Best played with coffee in hand. 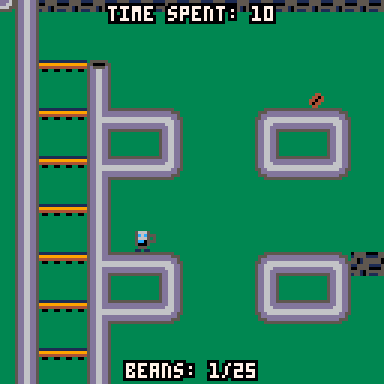 PICO-8 default controls are: Cursors to move, X or M or V to jump! Update: I updated the graphics and added a title screen! If you want to play the version as it was when the jam ended, play it here!